She belittled the weak, the easy prey, using her victims to cover her own wounds. 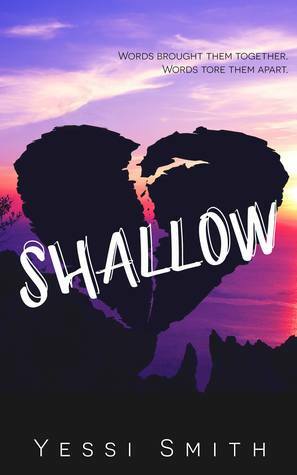 Shallow was an interesting read for me. I’m not typically one to jump for a YA novel but I was pleasantly surprised to find that I thoroughly enjoyed this book much more than I thought that I would (which is always a treat in itself). Yessi’s writing has transformed tremendously. That is the first thing I noticed with Shallow. I think this genre is for her because her writing is the strongest than it has been before, in my opinion. The flow and the punch of the words was fantastic. I can honestly say I haven’t read a book like this before. The way Yessi incorporated all of the poetry into the story was just another added bonus for me. Not to mention the way the characters went from shallow to characters full of depth. I love seeing character growth and both of the main characters transformed in an awesome way. For being the first YA novel that Yessi has wrote, I think she has found her calling. The hugest thing that impressed me with Shallow was her writing, I cannot stress that enough. It bled off the pages and onto these characters which in return brought them to life for me.